Check out our latest updates, articles as well as any significant developments within the project and stay tuned for more. 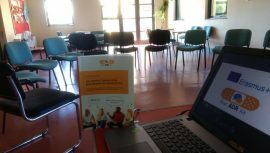 This is a dedicated space which explains what ADR is as a whole and how mediation fits into the picture. Click here to learn more about youth and reasons why the young people are the target group of this project. Educational resources gathered within the project like materials to read, photos, videos, etc. Check them out! Have you ever wished there was a First AID to fix not only bones but also broken human relations? Worry no more – we may have a Kit just for you! ‘First ADR Kit’ is a project designed to bring AID in the form of ADR = Alternative Dispute Resolution. We aim to bring professional business-related conflict resolution skills into youth education all around Europe. The project is a KA2 Strategic Partnership of organisations from 5 countries (Poland, Estonia, Italy, Norway and the United Kingdom), financially supported by the European Commission within the framework of Erasmus+ Programme and coordinated by the Polish NGO – Youth Development and Integration Association STRIM. We hope that the site will provide you with some useful information, resources and, above all …. inspiration! To provide the space for learning and the exchange of valuable information, content, ideas, tools, etc. All of these are related to various aspects of ADR, including: mediation, negotiations, ADR tools for youth work etc. To document the project and its activities so that they are widely visible and provide the source of empowerment for the organisations and individuals interested in the topic and/or wishing to undertake a similar, international initiative in the future. Whether you are a partner promoter, trainee engaged in the project activities, a curious individual, institution or commercial entity interested in ADR or you simply found this space by chance…..WELCOME! 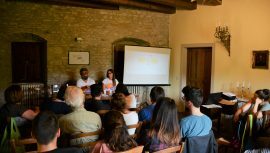 Check our about section to read more on the project itself as well as partner promoters engaged in the activities. 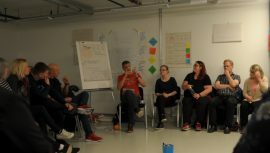 What is mediation according to youth workers who took part Training Course “Learning Academy – Mediation in voluneering”? Find out watching a short video by Mohammed Bemedhaf. It’s here, it’s ready and it is made precisely for you! 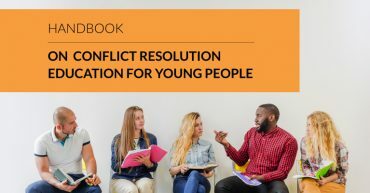 Our “Handbook on conflict resolution education” is available to download and use in your daily work with young people. 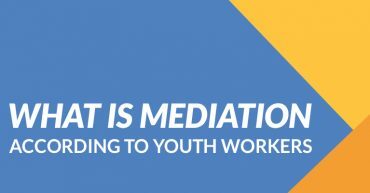 We are happy to invite you to an interdisciplinary student conference “Mediation in Youth Work” that will take place in Krakow. 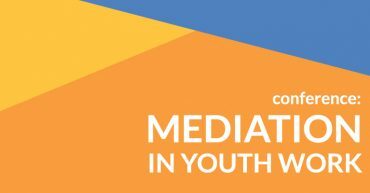 The aim of the conference is to discuss mediation – one of Alternative Dispute Resolution methods (ADR) and its role and use in work with young people aged 13-30. We will focus on different ideas on how to implement mediation and ADR in youth education, the role of conflict in youth development and application of non-formal learning in the field of conflict resolution education.